Looking for HILLCREST CLASS of 1978. 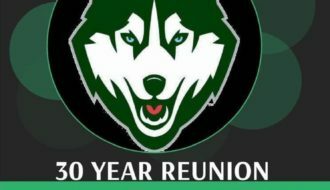 Reunion is scheduled for Sat. Nov. 3rd at Hillcrest High Cafeteria. $25 per person. Payment is due by Oct. 27th. Please share this info with anyone you know from the HHS class of 78. For more info visit the FB page HILLCREST HIGH CLASS of ’78 or contact Karen Conder at secretary@hillcrestalumni.org Thanks.